is a natural anti-depressant. Depression can lead to weight gain too. is needed for proper brain development of your baby if you’re pregnant. is a memory booster. Omega 3 helps you remember what you should and shouldn’t eat for weight loss has immune-enhancing and anti-inflammatory properties. You have poor immunity if you have food allergies. One of the symptoms of delayed onset food allergies is weight gain (more on that in a future post). is a potent stress buffer. Stress can lead to over-eating and hormonal imbalances. You know where these lead to. What else can I say, except that omega 3s rock! How much Omega 3 should you consume? The Institute of Medicine’s recommended daily intake of omega 3 for adult women is 1.1 grams, whereas pregnant women are advised to obtain 1.3 grams of omega 3 a day. Lactating women on the other hand need 1.4 grams of omega-3 fats a day to obtain enough benefits from them. 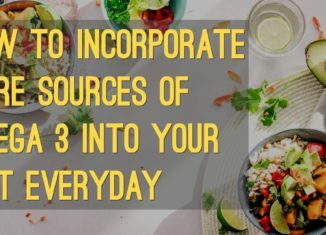 If you’re vegetarian or vegan you’d need at least 1.5 to 3 grams of pre-converted omega 3 (ALA or alpha- linolenic acid) every day to be healthy. Fish aren’t the only source of omega-3 fatty acids. If you must eat fish try to eat those that are low on mercury and PCBs. Alternatively you can just take a fish oil supplement if you’re iffy about toxins (as high-quality fish oil supplements are tested for purity) and fish protein (fish oil supplements are supposed to be free of fish protein and therefore should not trigger an allergic attack, but it would be better if you take them to avoid fish allergy, not if you are already suffering from it). 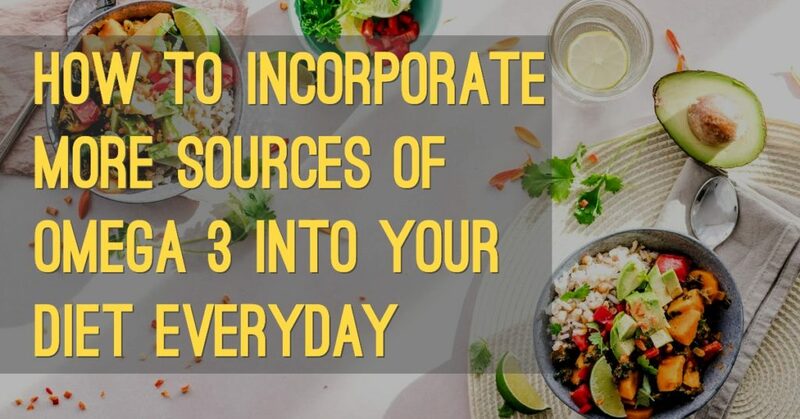 Or you can just eat a couple of the most tasty omega-3 foods known for their texture, taste, and nutrients. 2. Flax seeds and flax oil Why are they good for you? Flax has the highest omega 3 content compared to other food sources. The seeds also contain protein, fiber, lignans, B vitamins such as thiamine, riboflavin, niacin, pantothenic acid, and folic acid, plus minerals such as calcium, copper, iron, magnesium, manganese, phosphorus, selenium, and zinc. Flax is also known to protect women from breast cancer. Flax oil is a more concentrated source of omega 3 so you don’t need to consume a lot. A tablespoon of ground flax seeds has 37.4 calories and 1.6 grams of omega 3, whereas a tablespoon of flax oil contains 120.2 calories and 7.3 grams of omega-3 EFAs but no protein, fiber, minerals, and vitamins (except for vitamin E). I do not live a stress-free life, so my body makes good use all the extra omega 3s I consume to reverse stress. I also do not consume flax oil everyday (maybe just once to twice a week when I have a bottle in the fridge), so I never worry about excessive omega 3 intake. Grind up some seeds and sprinkle onto salads, oatmeal, and rice dishes (raw or cooked). Make chewy raw desserts using flax meal. Process with pitted dried dates or a low-GI liquid sweetener such as raw yacon syrup or coconut nectar along with some raw cacao powder or Ceylon cinnamon (cassia variety is only okay if total consumption for the day is no more than ¼ teaspoon). Remove from the food processor and form into balls or bars. Eat right away or freeze for a few hours if you prefer your balls or bars chewier. Use flax meal to create gluten-free unbaked breads with the help of a dehydrator. Make raw vegan patties by blending flax meal with some raw seeds, onion, garlic, and vegetables . Dehydrate at a low setting until the patties are firm enough. Dehydrate whole seeds, spices, and favorite vegetables to make raw flax crackers. Substitute olive oil with flax oil when making salad dressings. Use the oil as a butter substitute when making raw “stir-fried” dishes. Chia is an ancient grain that is also one of the few plant-based sources of complete protein. Protein from chia is highly digestible. Chia seeds are also high in iron, potassium, selenium, fiber, and antioxidants. They are also detoxifying as they can absorb toxins in your gut. Chia seeds are much better eaten than grown as a pet, that’s one thing for sure! Soak up some seeds in a bowl of raw or pasturized nut milk. Rice, soy, and coconut milk are also okay to use. Add some raw cacao powder, alcohol-free vanilla extract, Ceylon cinnamon, and stevia extract to make your chia porridge more enjoyable. Grind into powder and add to smoothies specially if they are a bit runny, as chia flour can gelatinize in any liquid it is added to. 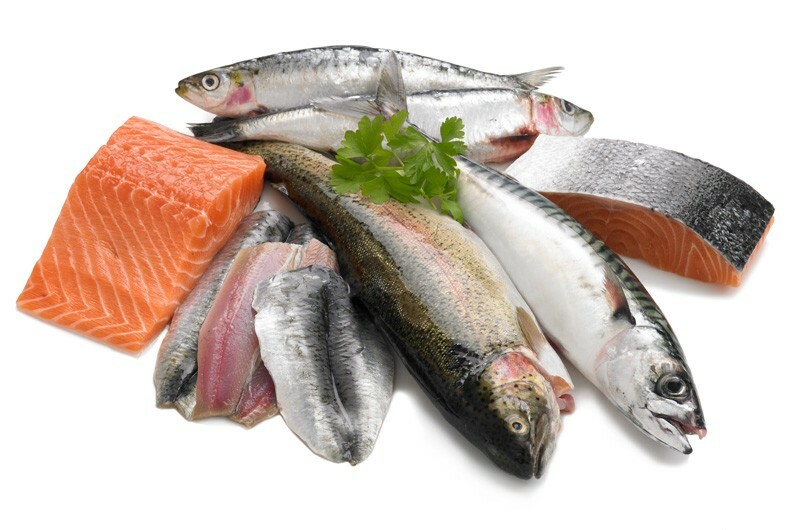 In our next article we will have another 6 delicious omega 3 sources. Do you think you could replace your less healthy snacks with flax seed dessert or chia porridge?